XRP is becoming the opted standard for money transfer overseas. A currency designed for cross-border payments offering low fees and high transactional speed. These features are making it more popular and it is getting attention from all over the world, especially from financial institutions. A number of companies are testing XRP and so many of them are already using it as a full-time payment service. Every other day Ripple surprises us with a new partnership and it is quite amazing that ripple has managed a huge number of partnerships so well, and it is still going on. Ripple company CEO Brad Garlinghouse is very proud of it and says, “Not many months ago, everyone was saying no one will use XRP and those were the headlines. But, you can’t say the same today as people have started using XRP as it is cheaper, faster and better than any available option”. Ripple company is very sure that bigger companies and banks will start using XRP very soon. Here is the list of current XRP partners which we have prepared just for the overview. IDT is an American telecommunication company which also has money transfer business which they call a BOSS revolution. They have a very unique business model and before Ripple, they were already using digital assets to exchange currencies. Their ultimate goal is to facilitate low-cost global payments for their customers. Both Mercury FX and IDT signed a partnership with Ripple at the same time in January 2018. SBI holdings is a Tokyo based Japanese financial services company which believes that blockchain technology will soon become the fundamental force in global banking and financial system. SBI holdings have the partnership with R3 which uses XRP in its main product Corda platform. SBI holdings will use Ripple via Corda platform as their international payment solutions. SBI holdings have also created a called Moneytap for cross-border payments. Mercury FX is a trusted global currency specialist company which offers its clients lower transactions fees and bank beating exchange rates for international transactions. Mercury FX offices are in London, Hong Kong, and Cape Town. Mercury FX has recently completed a cross-border payment using xRapid to the Philippines successfully. After this successful transaction, they have plans to open 10 more xRapid payment corridors by the end of 2019 which includes reaching to Canada and the middle east. Mercury FX is also a very main partner of Ripple and uses XRP token with xRapid for payments. Financiera Cuallix is a which operates in united states, Mexico and Hong Kong for more than 25 years. It offers credit loans for almost anything you need. Cuallix has established a partnership with Ripple to provide a better payment solution for cross-border payments. Cuallix is also a partner of SWIFT which is the traditional and current standard for global payment solutions. Cuallix is one of the long running partners of Ripple and also the first ever company who started using xRapid since it went live in October 2018. 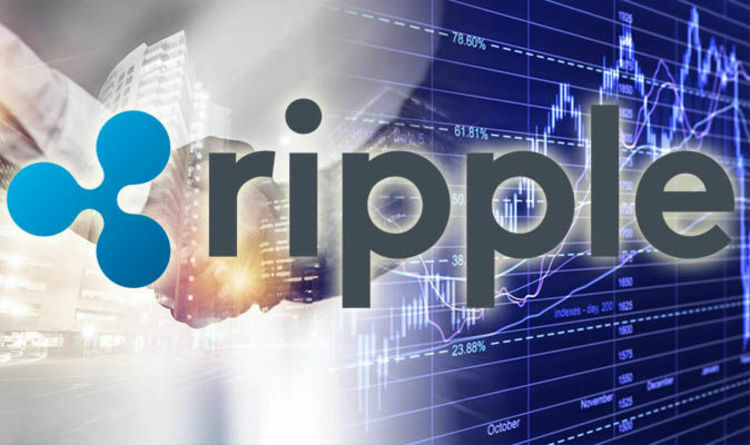 Cuallix has been testing RippleNet since 2017 and is very pleased to use ripple in their system dedicatedly. Euro Exim bank is a London based revolutionary financial institution which is also a client of SWIFT for 20 years. This is the first ever bank which completely implemented xRapid. Euro Exim banks also use xCurrent, another ripple financial product for cross-border payments. Money Gram is the global money transfer services based in the United States with multiple branches across the globe. Money Gram is testing Ripple since the beginning of 2018 and there is no further update on this after December 2018. Viamericas is the United States based, trusted money transmitter services which offer international money transfer, payment, check to process etc. Viamericas is testing ripple for its global payments. It is operating in 29 countries and has become the fourth partner of Ripple to use xRapid to increase the speed of fund transfer globally. Though there is no indication if they have any future plans however it is the part of their pilot program. SendFriend is the next generation payment services and currently the best and the smartest way to transfer money in the Philippines. SendFriend signed a partnership with Ripple in November 2018 and is expected to start using Ripple xRapid in the first quarter of 2019. Western union is an American financial service and communications company offers services similar to MoneyGram. Western Union signed a partnership with ripple in December 2018 and recently tested XRP for their global payments. They haven’t announced anything further and the testing mode is still on. Western Union experimenting XRP and will soon come up with a decision. The company believes that they are ready to launch any kind of currencies. They are waiting for the right time and should they ever feel the demand of cryptocurrency in their platform they are ready to adopt. Western Union is still not sure and with the few testings of XRP, they concluded that it did not save much than before. Odilon Almeida, the president of Western thinks that Cryptocurrencies need to solve many problems like volatility, compliance, and governance before expecting more adoption. Well, the issues Almeida pointed out is all correct and need to be addressed. As of now Transpaygo is testing Ripple and believes that the potential of blockchain and cryptocurrencies is yet to be exploited. It is a Texas-based financial institution which is used by more than fourteen hundred credit unions in the United States. The company offers financial services which include liquidity investments, balance sheet management, and payment solutions. About ripple partnerships, Catalyst corporate says that this partnership will allow them to make secure global payments within minutes. With this partnerships Catalyst corporate aims to transfer money to Mexico via Ripple blockchain and they believe that these secure money transfers can be completed within the matter of few minutes. The company chose Ripple over the traditional system and thinks that ripple resolves all the major challenges faced by the current system. Cambridge is a leading commercial payment solution services which operate in 140 countries with 13,000 active clients. Cambridge currently uses SWIFT for global remittances however it partnered with Ripple to find better solutions. Ripple and Cambridge's FX partnered in March 2018 for Cambridge to test Ripple’s xRapid. Ripple’s partnership list is increasing rapidly and the belief of people. All of the banks which are using XRP or ripple products are using it for a reason and they have set some goals with it. So far ripple did well with the number of partnerships in spite of many challenges. No doubt ripple made its way and it indeed is commendable.